Hello world! Welcome to my first post for 2018! For today’s awesome toy showcase I present : Marvel’s Gorgon, made by ToyBiz. Gorgon is a member of the Inhumans, a race of beings which possess incredible superhuman powers. After going through the process of terrigenesis, Gorgon was endowed with massively-muscled legs and hoof-like feet. By simply stomping his hoof on the ground, Gorgon could generate powerful shockwaves that will literally knock his enemies over. 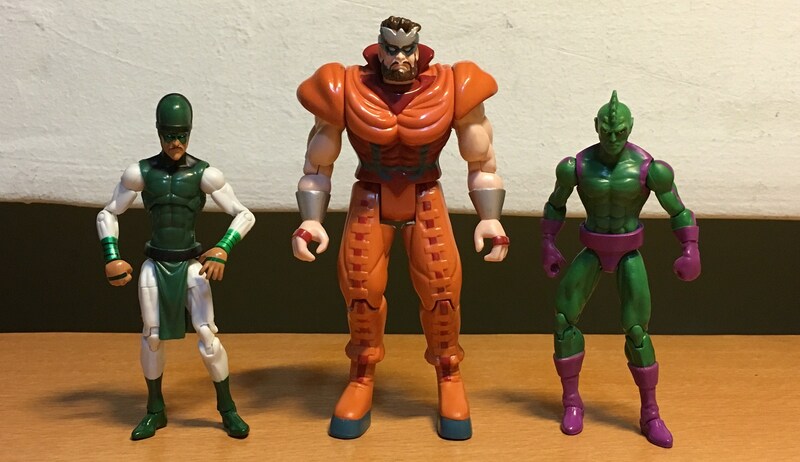 During the 1990’s, the toy company ToyBiz produced 5″ scale figures of Marvel Comics characters in conjunction with the many Marvel animated series that were released during that time such as “Spider-man”, “X-Men”, “Fantastic Four”, and others. In most cases the onscreen appearances of the characters were generally faithful to their comic versions. 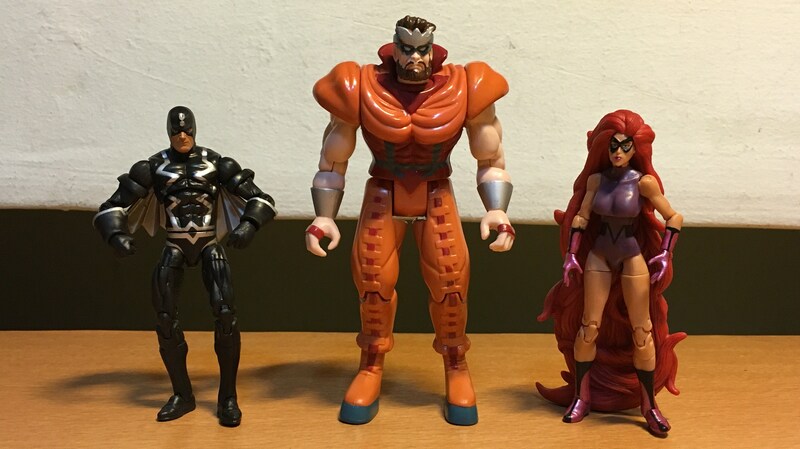 With some imagination certain ToyBiz figures could fit well in with the 4″ scale Marvel figures produced by Hasbro in recent years. And that’s what I thought when I picked up a loose Gorgon figure at the local toy flea market. The Inhuman Royal Family. Gorgon’s just a big fella. 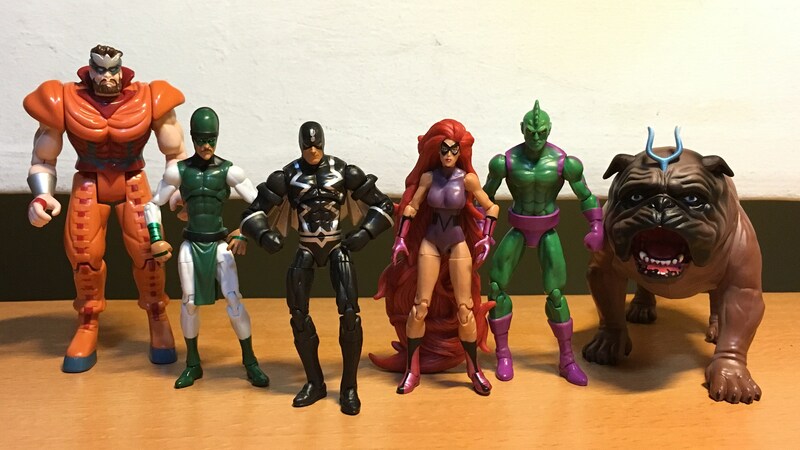 Marvel Universe Collecting – The Inhumans. At the back of the Gorgon figure is a lever when pressed will activate Gorgon’s hoof stompin’ action! This is the second animated GIF that I have created. The first one is here. Gorgon appeared on the “Fantastic Four” animated series. He originally came with two assault rifles that sadly have been misplaced by the previous owner. 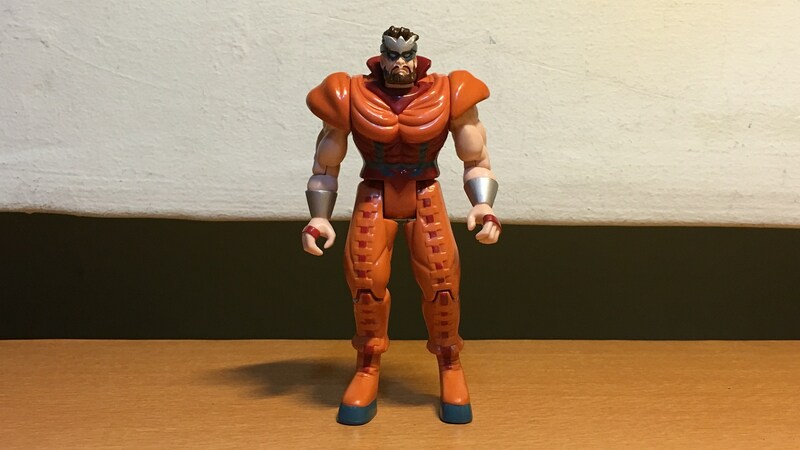 A picture of Gorgon in his Toybiz packaging. Photo from a Google search. Gorgon was most recently seen onscreen in the TV series “Marvel’s Inhumans”, fighting alongside Black Bolt and the Inhuman Royal Family.